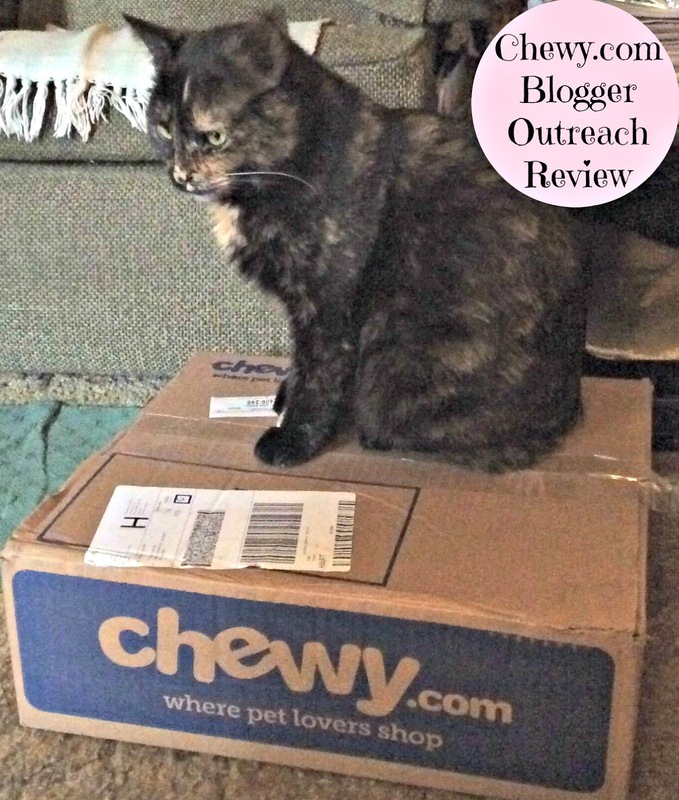 For months now we've been chronicling Mommy's determination to get me to eat more wet food. I've found one brand that I really like and on a good day I'll eat 3/4 of a 1.3 ounce tray. (Why she's not satisfied with that, I have no idea.) I've been willing to sample several other brands for about 5 bites before firmly giving it my paw of disapproval. 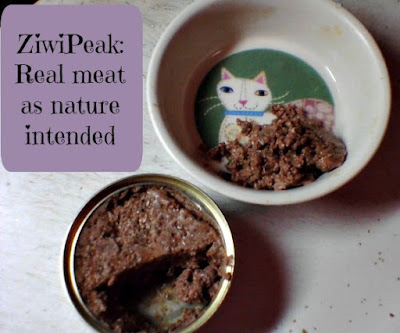 So last month when my Chewy.com Blogger Outreach newsletter arrived Mommy was excited to see a brand she had never even heard of before: ZiwiPeak from New Zealand!!! ZiwiPeak’s "Daily-Cat" moist cat food is a premium pet food made from 100% natural, fresh, raw meat, retaining natural moisture in the can. We chose beef because that's my favorite flavor in the wet food that I like, but it also comes in venison, lamb, rabbit & lamb, and venison & fish. 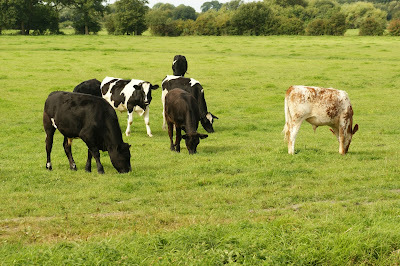 New Zealand is known worldwide for raising the highest-quality, pasture-raised, grass-fed beef. Grass-fed beef provides many added advantages such as higher omegas, less fat and more natural vitamins. 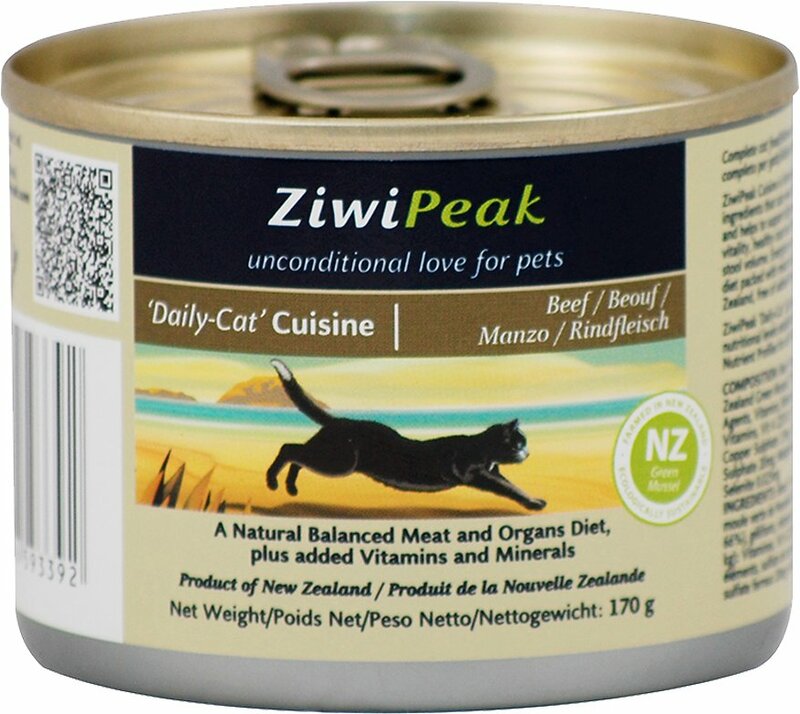 ZiwiPeak beef is one of the cleanest, purest, beef formulations in the world. Cats that suffer from renal issues such as: chronic renal failure, urinary crystals, kidney failure, pancreatitis, IBS & IBD. We opened up a can and were very impressed with what we saw. Mommy even said the food smelled good to her!!! But it's *my* opinion that matters here, right??? She learned her lesson quickly though and ever since then I've been eating smaller portions and have had no trouble with it at all. ZiwiPeak definitely gets four paws up from Mudpie! 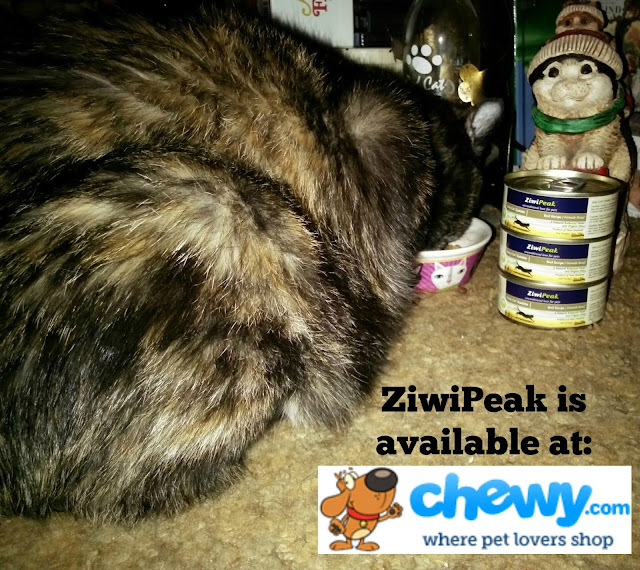 Check out Chewy's selection of ZiwiPeak formulas (available in both 3 and 6 ounce cans) here. 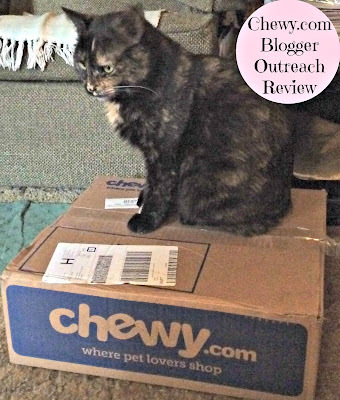 Disclaimer: A case of ZiwiPeak was sent to us for free by Chewy.com in exchange for an honest review. All opinions are our own and we never recommend a product we don’t fully believe in. Hmmm - sounds good - the food, not the throwing up part!!! That does sound like good food. We might have to try that since there are 5 or 6 cats here that are very very fussy. We will check it out. Mmmmm, food worthy of being gorged - it must be good stuff indeed! I'm so glad you like it, Mudpie. I bet your mommy's thrilled that you've finally found a food you're more than obliging to eat. Great review, as always, Mudpie and Melissa! Purrs! I've heard of ZiwiPeak before but we haven't tried it yet. Sounds delish! Truffle and Brulee liked the lamb ZiwiPeak. They didn't like the leftovers after they'd been put in the refrigerator though. Wish the can can in smaller sizes. What a great review. M said she's going to go over to the site and check out that food. She'd like me to eat more healthy food and that sounds good. We got to try this food too and we love it! Our review will be coming soon. It must be very tasty because Millie was a piggy too and did the same thing- in my shoe. Oh Mudpie weez soo glad you liked it. We luvved ours and we got da rabbit. It's delishus. But yes, ya'can't gorge ifin yous new to raw and lots of purrotein. Weez just glad you like it. home run from chewy, huh? Beef is one protein I won't touch. I don't like the smell or nothing. My peeps don't eat beef either so that may be it. I'm glad you're enjoying your new food. I bet if Mom bought you another case, you wouldn't look at it. HAH!